Welcome and make yourself at home. Time to learn the great game of chess. Or to improve the skills you already have. You may be an amateur player who likes to play chess as a hobby. You might be a club player who plays tournaments over the board. But you want to improve. The key is making the learning process fun. Then you'll always be hungry for more growth. 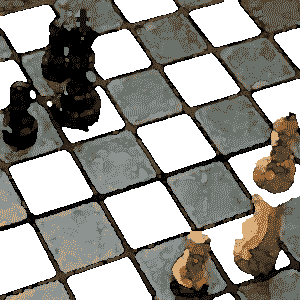 Make Lapoc your favorite online chess hub. Fulfill all your chess needs here. Are you ready to climb the chess mountain? This is the age of mass multimedia. The emergence of the world wide web has changed our lives in more ways than we could ever imagine. We can get connected with people who share our interests. With people we never would have come into contact with before. We can play players from all over the world in real time. 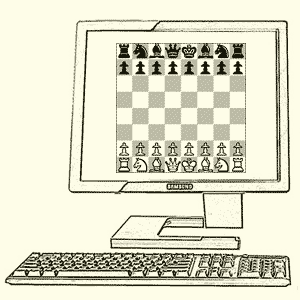 Technological advances have drawn me back to chess. I've played thousands and thousands of games over the last few years. Blitz games, 5 minutes, 10 minutes, 15 minutes usually. I also play longer games allowing 3 days per move. You have to take more care in those ones. Mistakes are punished ruthlessly. We can play players from all over the world in real time. Don't sweat it if you have never played chess before and don't know how. You can take your first steps in chess here. It only takes about half an hour to learn to play chess. 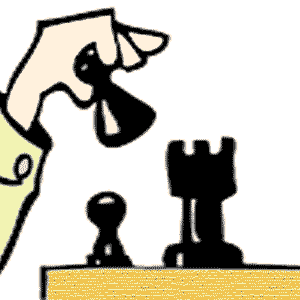 Soon you'll be going head to head playing online chess against other players right here at Lapoc. It only takes about half an hour to learn to play chess. But let's face it. Getting stuck in and wading through oceans of chess theory is tedious, time consuming work. Not everyone is up for the soul destroying, morale sapping, grueling task of studying chess. Most people just don't have the time. But don't worry. I will trawl through all of the theory and filter out the nuggets from the noise. I will package the research for you so that you can consume vast swathes of chess insight in a fraction of the time. I will give you back days, weeks and months of your life. You can watch your rating soar and have lots of spare time to spend on other things. Watch your rating soar and have lots of spare time to spend on other things. To help you on your way I will tell you everything I know on advanced strategy in all three phases of the game. A little preparation goes a long way and a few tricks to add to your arsenal won't do any harm either. After learning the basic principles needed for the chess world you will want to dig deeper in many areas. It makes sense to start with the endgame. The middlegame is probably the most interesting and maybe least understood phase of the game. The openings can be learned and rehearsed. Endgame technique can be honed and refined. 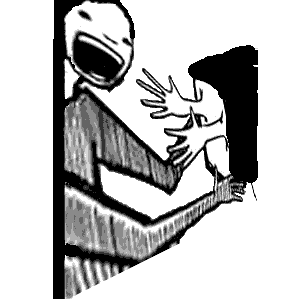 Middlegame handling is an intuitive process. This is where all the magic happens. There is an incredible number of openings available to the modern player. All of these many families of openings have their own distinct sets of objectives. They contain instantly recognizable positions and pawn structures that set them apart. Your goal is to decide what kind of game you like to play. You have to figure out what positions you enjoy working in. Then it's a matter of working on your favorite openings and making them work for you. The openings are divided into 5 volumes, basically classifying them as Kingside openings, Queenside openings and Flank Openings. Irregular Openings are another option if you want to take the road less traveled. And then you can roll the dice with gambits but we can touch on those a little later. There is a very strong case to say that the Sicilian Defense just might be the most important opening out there. 25% of all games start with the Sicilian and it's not hard to see why. It is the most successful response to White's 1.e4. White wins 52% of games in the Sicilian, barely more than half. Honestly it feels like the Sicilian is too big to even be considered as one opening. It's more useful to think of it as a vast complex of several related openings that can transpose seamlessly from one to the other. We will look at the Sicilian over four sections precisely because of it's sheer size. The Ruy Lopez is probably the most important 1.e4 e5 opening. Like the Sicilian this opening has an ocean of theory attached to guide you through. Many lines have been developed and there are lots of choices to be made. The Ruy Lopez is split between the Morphy Defense, alternatives to the Morphy Defense and the Main Line. In addition there are several other 1.e4 openings such as the French Defense, the Caro-Kann Defense and more. The Queen's Gambit Declined is or should be a cornerstone of any serious player's opening repertoire. Even if you want to play different openings you should at least be proficient playing the openings that are nested in the QGD. It has two main branches, when Black plays 3...Nf6 and when he doesn't. 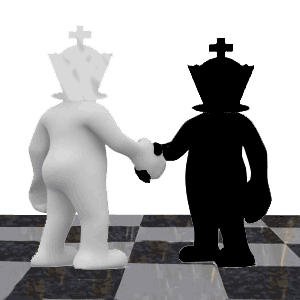 The Slav and Semi-Slav between them comprise another major branch of Queenside chess. These games often develop into an intense battle of wills with tactical shots lurking in the undergrowth. The trick is to find them. The King's Indian Defense is a great opening with a rich history and many heavily studied variations. Black has plenty of scope to attack on the Kingside while White will try to make inroads on the Queenside. The Queen's Indian, Nimzo-Indian, Bogo-Indian, Old Indian and Grunfeld Defense are other options you can try. All related and yet each with it's own peculiarities. You can also pick from several other 1.d4 openings such as the Dutch Defense, the Benoni Defense and others. The English Opening is the most important Flank Opening out there. It's one of the most popular openings in the game. Top GMs make sure to make it part of their repertoire. The English features regularly in top level chess. Flank Openings rose to prominence during the Hypermodern Era in the early 20th Century. The Hypermodern approach involves allowing your opponent to occupy the center. You will set your pieces up on the flanks to control central squares. These pieces eventually support attacks on the center as you undermine it later on. Irregular Openings are rarely seen in practice. They range from interesting ambushes to just plain silly schemes. Some of them warrant further investigation, others should merely be reserved for comedy. 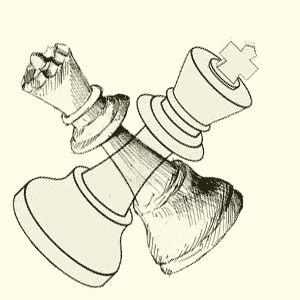 Chess literature is literally stuffed with thrilling gambits. Playing through the games of the great masters from the middle ages, 19th Century right up to recent times can really bring on your game. When you start to look at chess through their eyes you will suddenly be playing a different kind of game. One of the nicest transformations you experience is going from not understanding what is happening to actually anticipating many of the moves. 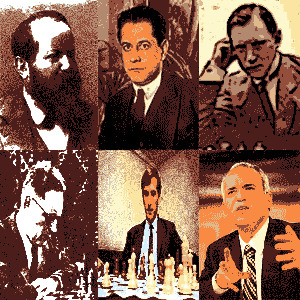 The history of chess is interwoven with human history. This game is based on society across Asia and Europe right throughout the ages. The pieces represented powerful figures in ancient societies. The game represented the battles they fought for power and glory. 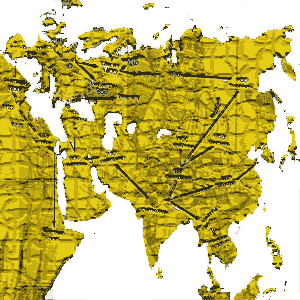 As it traveled across the trade routes and down through the ages, chess took on many forms and appeared as many variants. In each country and century it appeared the pieces tell us who was in control and their moves are an insight into how much power each character wielded. The specific rules for each variant are also clues of the culture and way of life from where and when these variants sprang. 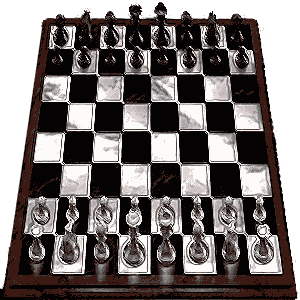 The history of chess is interwoven with human history. Share your knowledge with other cyber surfers. The knowledge you've built up is gold that can help other players improve their game. Post your articles and games on the Invitations dotted throughout the site. You can find them at the Interactive Center. Keep track of every new update on the Lapoc Chess Blog. 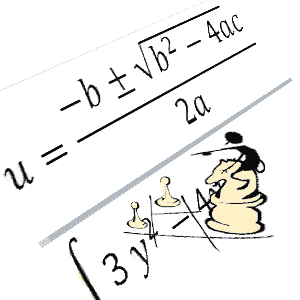 You can also subscribe to the free ezine Lapoc Chess Board which comes out every month. Do you need to ask any questions? Not sure what we're trying to do here? Maybe you're looking for a specific page? Whatever your concern, here are a couple of helpful links to get your problem resolved. Need to get in touch? Feel free to contact us. Read the Mission Statement in the About Us section. Find what you're looking for on the Sitemap.